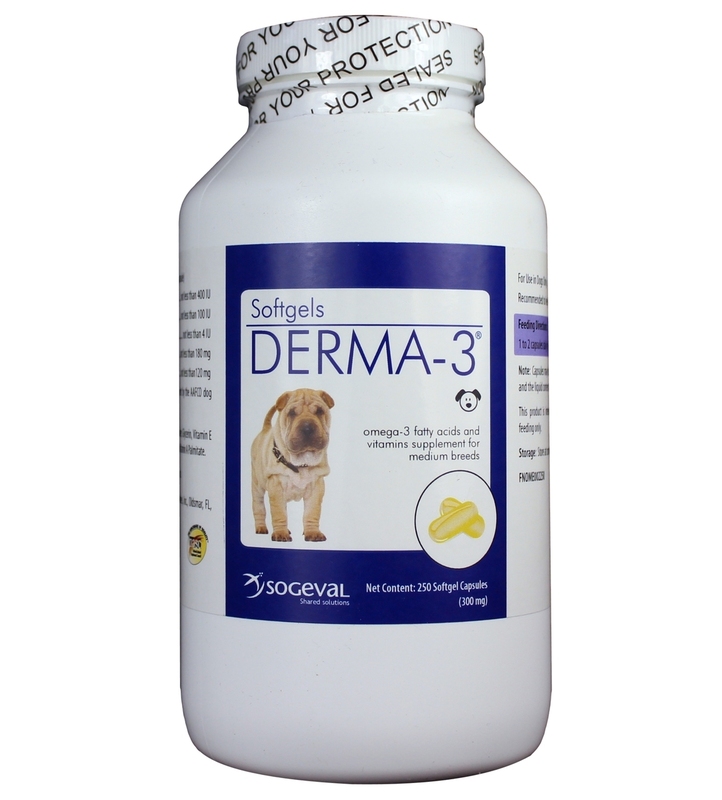 Sogeval Derma 3 Soft Gels are recommended to support healthy skin & coat in dogs and cats. 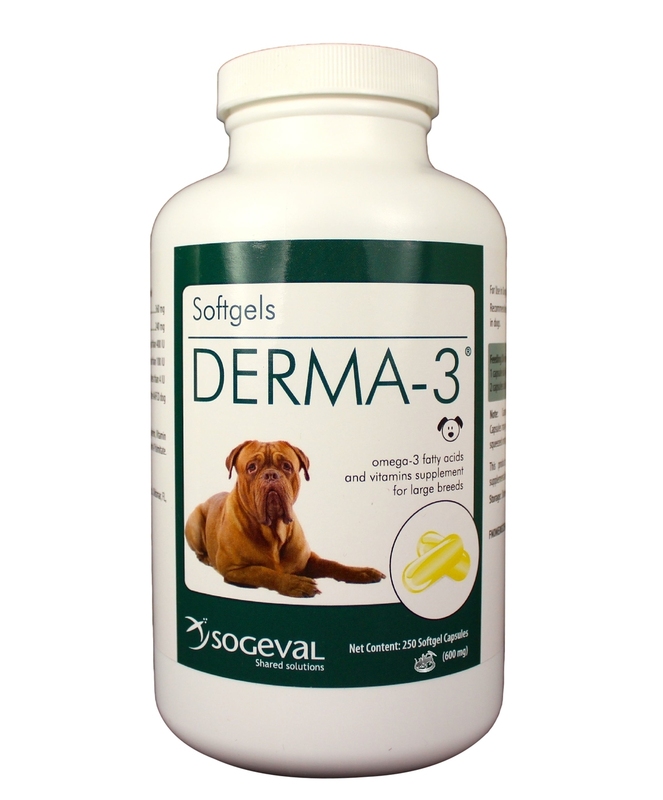 Derma-3 Softgels provide a concentrated source of Omega-3 Fatty Acids. 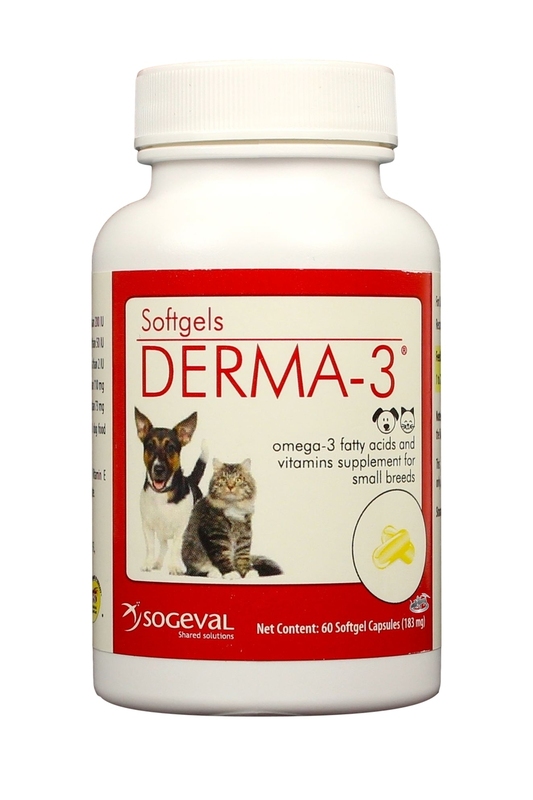 High levels of Omega-3 Fatty Acids help promote the immune system and restore healthy skin and fur. Concentrated fish oil in softgel capsules. 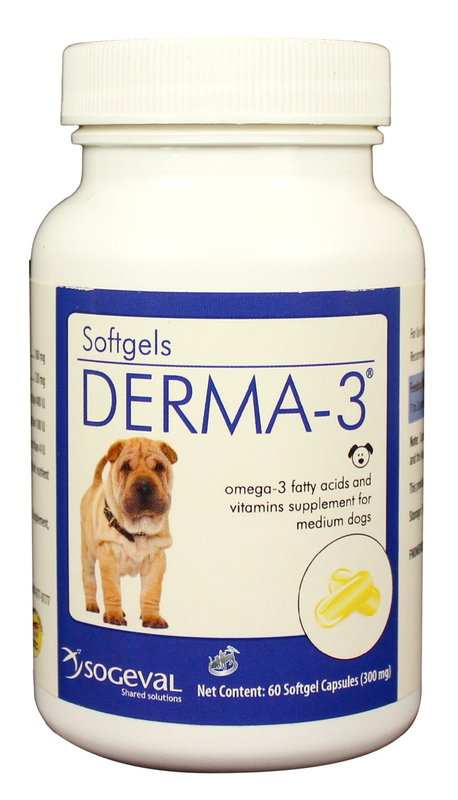 Derma-3 Small Breeds: 1 to 2 capsules daily for pets up to 30 lbs. 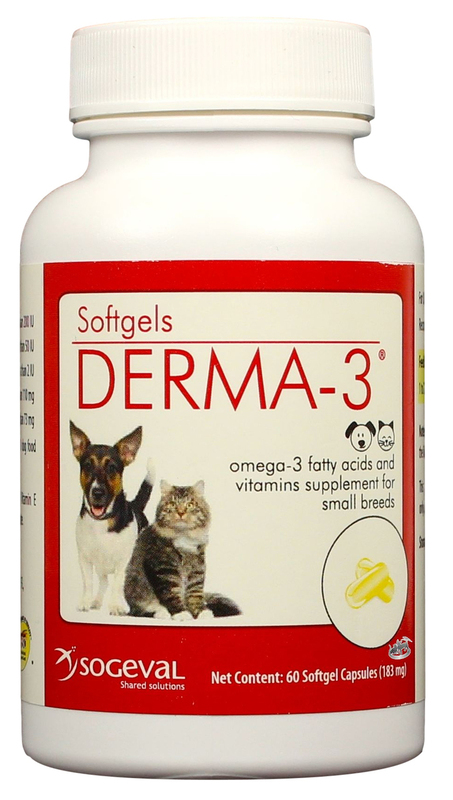 Derma-3 Medium Breeds: 1 to 2 capsules daily for pets 31-60 lbs. 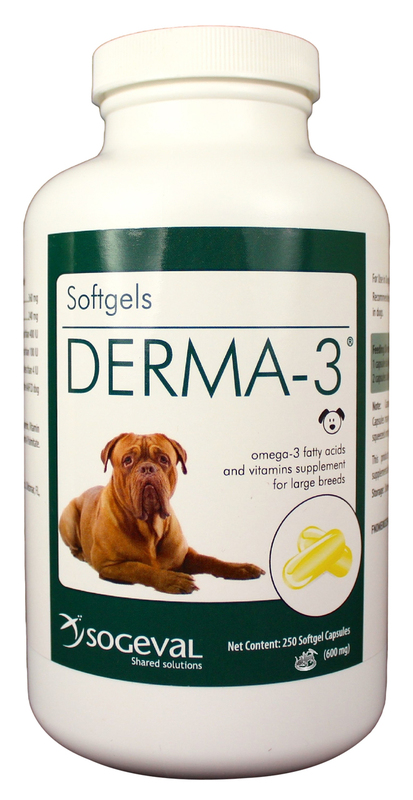 Derma-3 Large Breeds: 1 capsule daily for pets 61-80 lbs. 2 capsules daily for pets over 81 + lbs. Fish Oil, Beef Gelatin, Water, Glycerin, Vitamin E Supplement, Vitamin D3 Supplement, Vitamin A Palmitate.